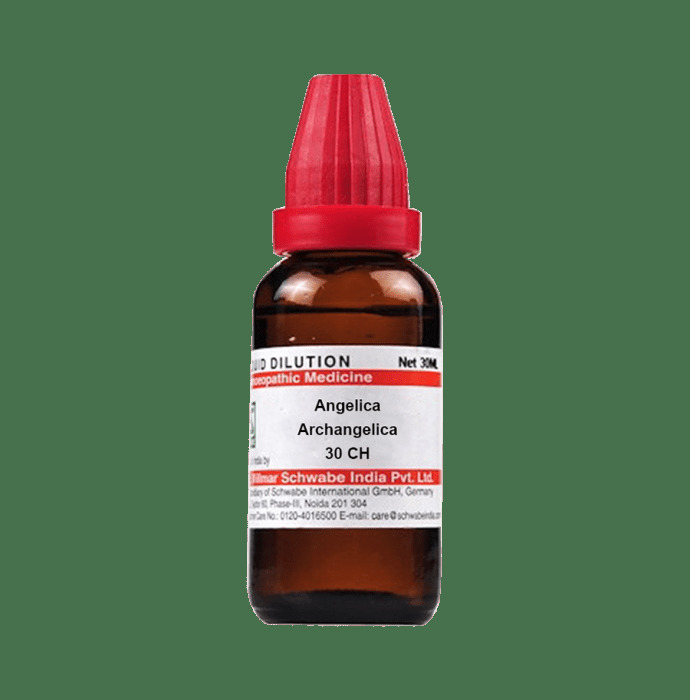 Dr Willmar Schwabe India Angelica Archangelica Dilution is prescribed for the treatment of various health complications, primarily used to treat heartburn, flatulence, anorexia, arthritis and symptoms of flu. In women, it can also be used to start their menstrual periods. It has anti-inflammatory properties and also has the anti-seizure effect. Take 10 drops of Dr Willmar Schwabe India Angelica Archangelica Mother Tinctured diluted in half cup of water thrice a day or as directed by the physician.